The sturdy LTT 303E can be installed easily thanks to its double leg frame and longer profile compared to the other models. 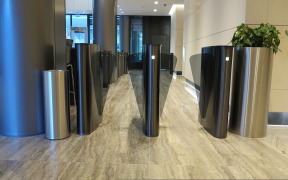 TANSA turnstiles accept and work with a wide variety of proximity, magnetic, or biometric readers. 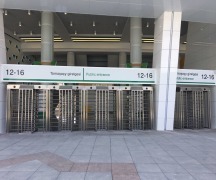 LTT 303E series turnstile, which can be used internally and externally, is constructed with stainless steel. Its also available painted with electrostatic powder paint in a color of your choice.